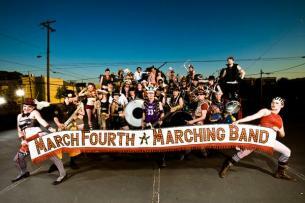 Are you a fan of Chi-town's Mucca Pazza? Ever watch Portlandia? March Fourth is Portland's punk rock marching band and they're marching forth to entertain YOU, right here in the windy city. Check 'em out. My little sis lives in Portland and has been a fan for years. She was born on March 4th and every year the band throws down a big show on their namesake day and invites everyone who shares that birthday to get in free. So basically they've been playing her birthday bash for years! Fun fun. We'll be there to shoot the show and can't wait to check em out at Martyr's. Here's the March Fourth site. Throw up your batons! Toss about that pocket-stored confetti! Let the high steppin’, flair totin’ cyclone of happiness begin!” -San Francisco Bay GuardianMarchFourth Marching Band (known as M4 by fans) is a large band and performance troupe from Portland, OR that was formed in 2003. M4 is hard to describe and, though the music can stand alone, the live show is unparalleled, unexpected, and uplifting.MarchFourth Marching Band connects with so many different types of audiences that they have been invited to play a huge variety of events over the past seven years–everything from the music festival main stage to the elementary school gymnasium to the streets of a town near you. Jonas Friddle & The Majority arrived on the scene simultaneously debuting two records on March 24th, 2012. 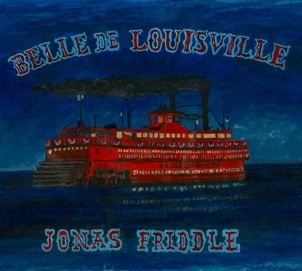 “Belle De Louisville” and “Synco Pony” showcase this seven-piece band’s ability to pull from both the string band and blues traditions of American Roots music. The Chicago-based “orchestral folk” group is comprised of a string section, brass, organ, banjo and drums. Each member of the Majority boasts a strong personal music career with close ties to Chicago’s Old Town School of Folk Music, where the band formed.Jonas Friddle’s passion for old-time style banjo from his native North Carolina leads to rhythmic and rolling compositions. Following the example of new folk groups like Crooked Still, Abigail Washburn and Old Crow Medicine Show, Jonas looks for a new take on an old sound. 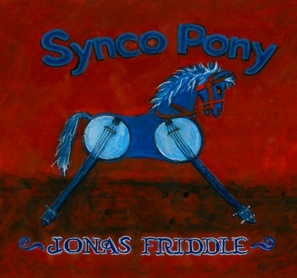 We're fans of local fav, Jonas Friddle, too. He played the Beat Kitchen Concerts for Kids series we sponsor with our alt-punk-parenting blog, ChiIL Mama. This show's for the big kids, though, AKA: adults (21+). Check out Jonas Friddle & the Majority's main site right here. Sign up for their mailing list and you can get two tunes FREE from their dual album release. Way to make an entrance! Click here for tixs to their Martyr's show and further details.